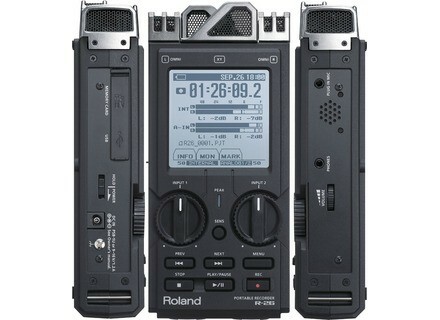 R-26, Pocket Recorder/Multitrack from Roland. lemarionnettiste's review (This content has been automatically translated from French)" Super intuitive Machine"
After a good reading of the complete operating manual, test multiple functions. First observation, or you configure your machine in English or Japanese, no language Frenchman for the monitor. As part of my activities puppeteer. I plant the dcor to tell you that is not strophonie Mon my senses because I perois the sounds dune one ear and yes i monophony not st rocest well. I started with a Marantz recorder 661 then i changed for Nagra Ares ML 4Gb with 3 capsules, blue, green and white QQ days since the R-26 Roland. The me who do not possde the stro I perois a relief and a deep sound with this unit, jOperation internal microphones and also a CD-10EM Binaural the same brand I torque with internal microphones. For over 30 years the reus sounds are flat, I discover a new dimension, if only for that, I say bravo this system. Despite only one ear, or perhaps because, I dteste hum common many dappareils. I particulirement detects various purring noise and other parasitic electric fields finest because I'm definitely more attentive and slectif an ear be but good. When we lack a sense of meaning or part question a natural compensation is set up. Well all this to say that I perois sound depth with this camera. 2 floors of the rglages among pickups are super efficient, I perois breath really very discreet lcoute headphones. Of course you can say Normal buddy you become completely deaf ear SECOND your licks you? Perhaps, but this is much stronger with the 661, less with the ML and almost with the R-26. The functions of the menus are a breeze for those who toy with a computer, 3 pairs of two full tracks mixed in a portable device what better? In addition lcoute can also choose 3 pairs or 2 or 1 pair in what sense nimporte and complete mixed. Bon ben voila, I'm not a sound engineer but as said above attentive user reus the quality of the sound in one ear compensates valid. I invite you to try this new machine to your dealer prfr as the song says. I do not suggest you this machine, I just give you a notice nengage the responsibility of the author. Photoson 01's review (This content has been automatically translated from French)" not expensive enough, my son!" I use it for less than a month. I was able to lend me a Tascam DR 100 MkII. I have long been eyeing the Marantz 661. 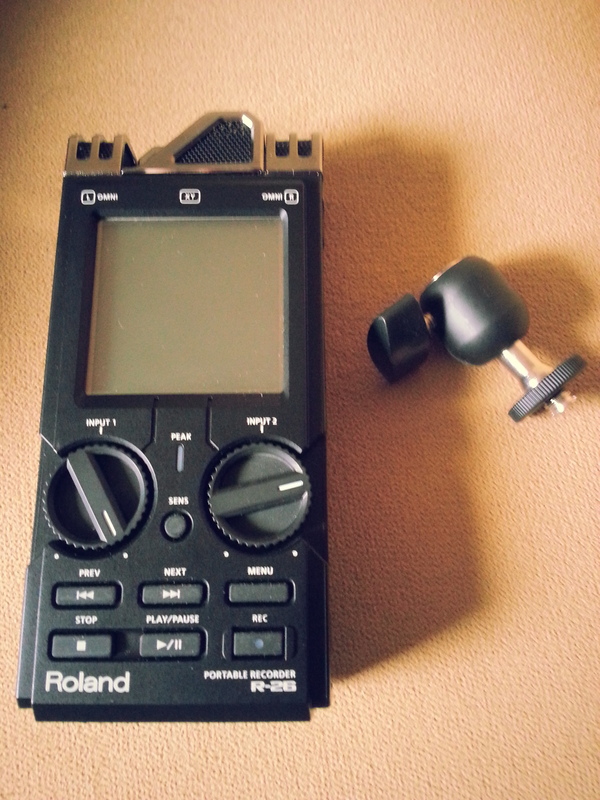 The price difference and ergonomics as well as the possibility of cyclists made me switch for Roland. Quality balanced microphone preamplifier amazed me! I do not know where people find the breath. However, it is important to use the sensitivity control. ergonomics with the touch screen is very nice and very intuitive. no SPDIF digital output or analog XLR ... Too bad it should not be difficult to do and he deserved; I do not think the price would have been greatly modified, but it is probably a blunder engineering design office as frequently. Everyone can not be called Nagra! as most of these mini recorder, the electret microphones are correct ... No more. The position and the possibility of mixing of four microphones seems higher, after a brief essay on the harpsichord, unlike the Tascam or Marantz. 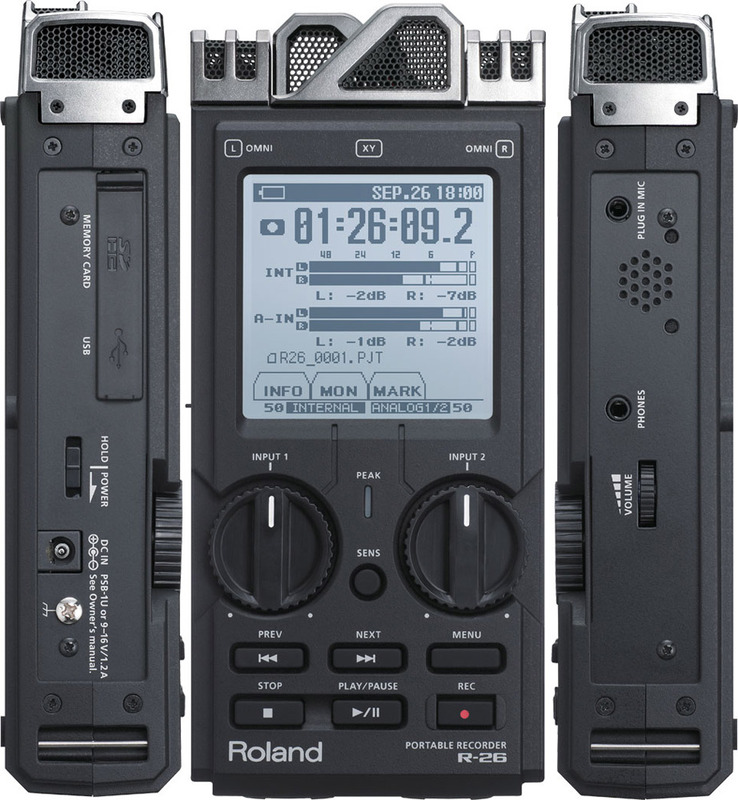 A black dot, which seems common to all these recorders, too, is the sensitivity of the microphones handling recorder casing: all means! It therefore lacks a remote control for this device. Again, apart Nagra, the microphones are not mounted on elastic suspension inside the housing. I think a small blade foam rubber under the caps would have arranged things to a negligible rate! Another misconception of a consulting firm who has never worked in the sound outside; we find the same errors in manufacturers of camcorders and cameras, do not worry! I find it great value for money as the floor above you pay for quality by a factor of about two or three! schlam's review (This content has been automatically translated from French)" Very bad 1st impressions"
- From the outset, the lightness of the device and its very plastoc rendering does not inspire confidence. - Second test with a pair of AUDIOLINE CM3. (For those who do not know, go ahead on these pickups! Looks like they forgot a zero on the bill! Neuman KM184 Very close to € 1,000 less ...). And then: disaster! A violin that spits anyway, and there, forced to put the preamp volume to 100% for a "safe" level! The breath is simply staggering! The microphones were within 30cm of the instrument. - The handling noise are equally unbearable. 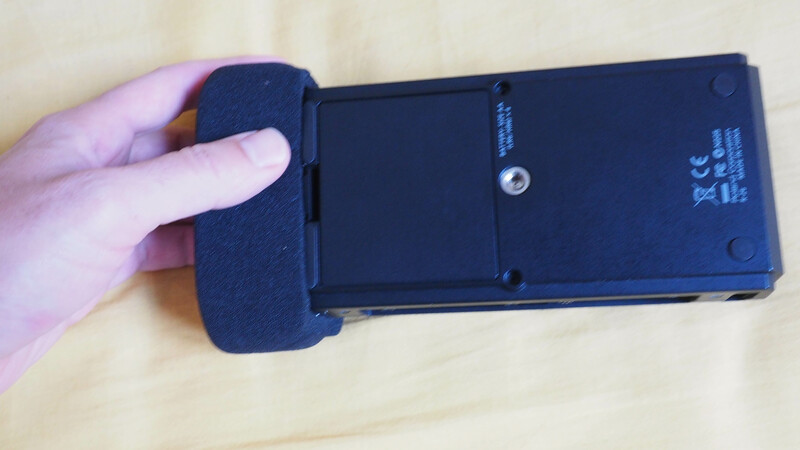 I know it is inevitable for a product pocket, but these proportions there, it's impossible. While the gains buttons are well placed and quiet with a little exercise .. These tests were very quick and succinct and is only my opinion. I read all the reviews on this product on both francophone and anglophone sites, so I knew that the preamp was a bit weak and blew but opinions seemed to tell a better quality than the H4n, this seems wrong. And talk of breath, it makes everything recording "field recording" impossible. Brief. A few more tests to be sure, but it's back to Thomann almost guaranteed! Germilaroch's review (This content has been automatically translated from French)" The recorder I needed!" 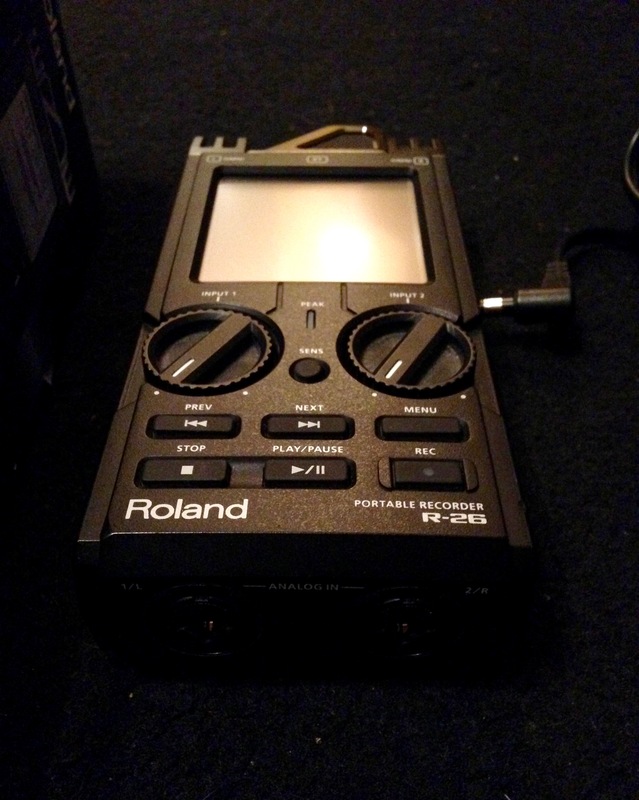 After two months of use, ROLAND R-26 I was not disappointed. Compared to my old MICROTRACK 24/96 M-AUDIO, I appreciate the tremendous progress despite the large size of the machine! It turns in less than 4 seconds where MICROTRACK took close to 40 seconds. Can select the voice recording from January to June and tracks all sound tracks are grouped into stereo files (wav 16 or 24 bit 41.1, 48, 88.2 or 96 kHz or mp3) into a folder. Internal microphones, omni or XY pairs are good enough for little one does not touch the body of the camera during recording, it inevitably transmits the slightest sound manipulation. The touch screen is very convenient. MEANING key quickly adjusts the input sensitivity of the microphones. The battery allows me to at least 2:30 Registration no phantom power. With this device, it becomes possible to make a quadraphonic recording with 4 mics on two independent inputs and XLR ANALOG IN PLUG IN MIC input stereo mini jack 3.5 mm. In addition, up to 6 simultaneous tracks, it becomes possible to make a real multichannel sound recording (5.0 or 5.1) or record small groups. 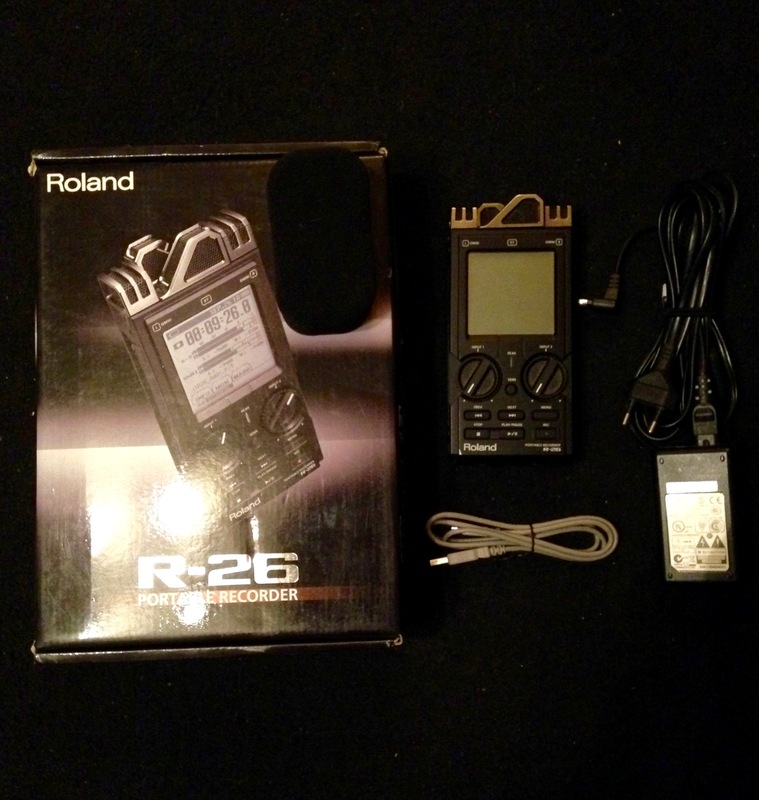 I note, however, some disadvantages: the R-26 is a bit too big to go unnoticed, it is impossible to recharge the batteries by leaving the R-26 is connected, the limiter saturation level is low, you can not record over a track.